An "AAA MBA" that aims to forge global leaders with an Aspiration to change and an Ambition to excel, while being Aware that leadership also requires social responsibility. An intense lifetime experience that goes beyond conventional business models, through creative thinking and responsible problem-solving. 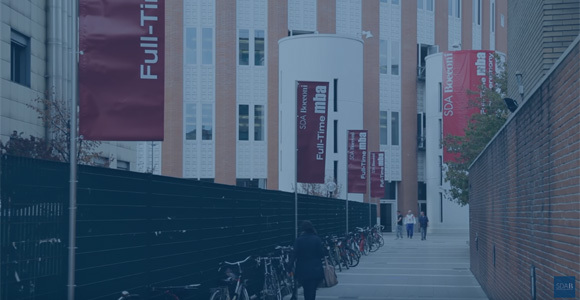 Based in Milano, Italy’s most European city, the hub of culture and innovation, and at SDA Bocconi, one of the highest-ranked schools of management in the world, the Full-Time MBA is a high-value investment in management training concentrated in as short a time as possible. A year dedicated to innovative knowledge to enable you to face the challenges of tomorrow's markets. SDA Bocconi organizes events and meetings throughout the year, both online and offline, where you can interact with the Director and other members of the MBA Community. An MBA is a commitment. The Recruiting and Admissions team will be happy to arrange an individual orientation meeting at school to answer your questions and give you personalized advice. We can also do this when we travel to your part of the world, and by phone or Skype. An intense, unstoppable MBA experience that goes beyond conventional knowledge, changing your life and managerial vision to inspire creative and innovative business thinking. "Our MBA aspires to be a game changer, even for those who have already had an excellent career in a specific role within a company. Our students want to look beyond this, towards entrepreneurship or to go for a full-fledged career in general management. 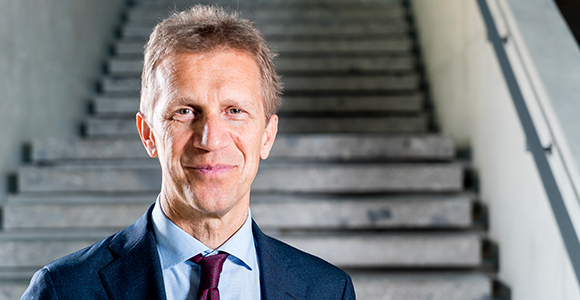 The courses and the other experiential activities within the SDA Bocconi MBA program will provide them with the tools and the opportunities to see their ambitious goals implemented." I would like to say thank you very much for the opportunity to study abroad at SDA Bocconi. I have had an amazing experience with a group of warm, talented and intelligent classmates and faculty members. This past three month have definitely inspired me and enriched my MBA experience. I just wanted to let you know how much I enjoyed my time at SDA Bocconi. The faculty, staff and students were extremely welcoming and made me feel at home immediately . I found the classes to be engaging in a different way than they are at my home school. It makes me think I should have considered SDA Bocconi when applying to business schools! In what language is the MBA held? The program is entirely held in English. The SDA Bocconi MBA is a general management program. It is demanding and intense, and aims to produce a new breed of well-prepared and flexible managers. The prime objective is to bring out existing individual qualities, make the most of potential and supply solid knowledge. It offers an answer to companies looking for managers with wide-ranging and lasting skills, fully aware of the analytical and social dimensions of managerial issues. What are the strong points of the SDA Bocconi MBA? - A dynamic learning model: action-oriented, global, experiential, inductive, rigorous. - A flexible process: student-centred, personalized, stimulating, challenging but sustainable. - A unique environment: collaborative, fair, interactive, open, diverse.